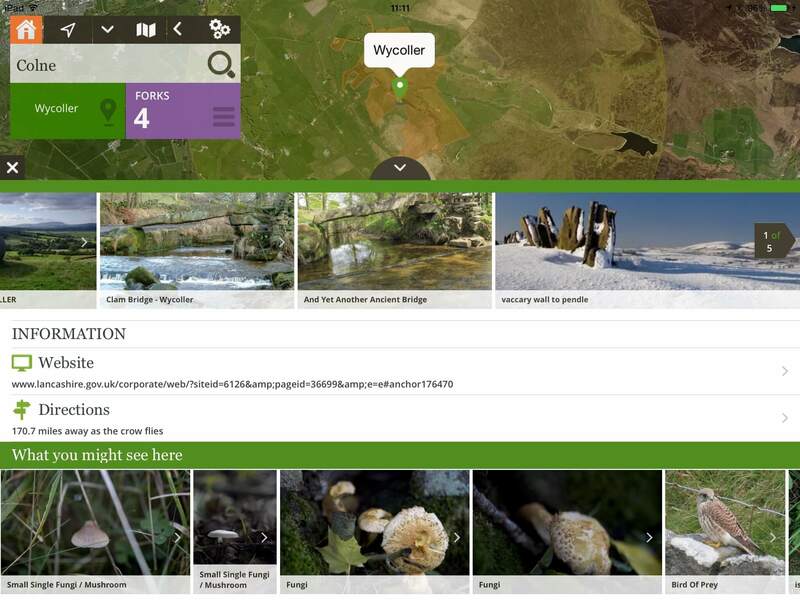 A competition: "To make innovative use of geographical datasets to offer new or improved ways for people to explore, understand, enjoy or protect the natural environment in England." The competition winner and a great looking App which allows users to find green spaces nearby or further afield. Image rich results are presented in an intuitive manner such that the user is never far away from the map. The App running on iOS7+ for iPad and iPhone integrates with multiple services in the free cloud. Spatial mapping queries are built on Google’s Fusion Table service and rich imagery for the green spaces comes from Google’s extensive Panoramio image bank. Google again is the source for recommendations of nearby refreshment and the Open University’s iSpot platform drives the display of animals and plants a user might see during the visit. True Technical built this native App using Cocoa Touch and Objective-C and applied a clean, intuitive design which allows users to navigate a large amount of green space data in an innovative unclutered way.